CW3E is pleased to host a CalWater 2015 Advanced Planning Meeting for Forecasting at Scripps Institution of Oceanography from 24-25 June 2014. The purpose of this meeting was to begin preparing for a major deployment of 3 aircraft, a ship and ground-based observation sites this winter. 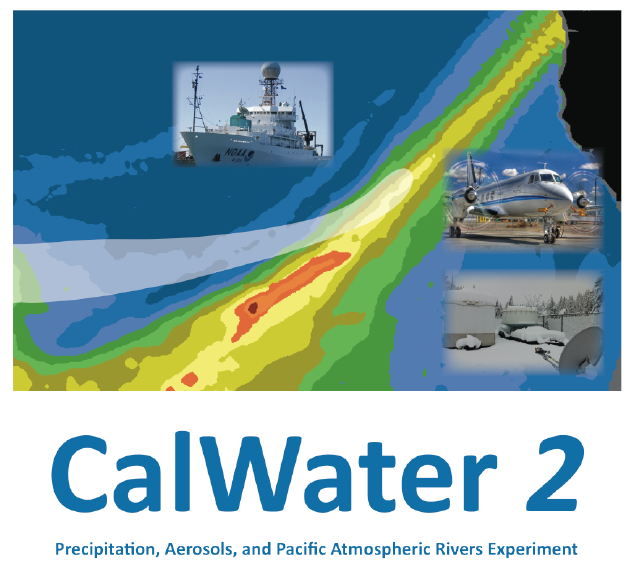 Specifically the aim was to focus on the development of forecast requirements specific to the field experiment and implementation of forecasts for meteorological and chemical/aerosol dimentions of CalWater-2015. Coordinators of this meeting were Jason Cordeira (Plymouth State University), Andrew Martin (Scripps Institution of Oceanography) and Jonathan Rutz (NOAA/National Weather Service). Other participants included Ryan Spackman and Natalie Gaggani (NOAA STC/PSD) and Roger Pierce (NOAA/NWS).